How Much Vitamin D Do We Really Need? In the multi-lettered world of vitamins and minerals, why did Vitamin D move to the top of the list…and should it be there? Following is a look at the paradox of the “sunshine vitamin,” critical to the body’s healthy function in numerous ways, but may not be important enough to warrant regular screenings, according to the latest national recommendations. For many Americans, lack of sunshine except during the short summer season poses a concern because exposure to the sun is necessary to turn a chemical in the skin into Vitamin D. Even in sunny climates, people who spend most of their day indoors or faithfully apply sunscreen are at risk of Vitamin D deficiency, according to research that emerged in the 2000s. Low levels of the vitamin were increasingly linked to a litany of the world’s ills—cancer, heart disease, diabetes, arthritis, even depression. By 2012, researchers had discovered that Vitamin D receptors were found not only in the intestines, but in many other organs. “We know that basically every cell in your body has a Vitamin D receptor; it has been found in the brain, skeletal muscle, colon, breast, prostate, and the list goes on,” Dr. Michael F. Holick, a prominent expert at Boston University Medical Center, told Endocrine News. Additional research bolstered the importance of Vitamin D, such as a recent British Medical Journal study that tracked more than 95,000 participants for nearly 40 years to find that genes associated with permanent low levels of Vitamin D raised the risk of early death by up to 40 percent. However, the study’s author cautioned that the relationship was not proven to be causal and therefore, no recommendations for supplements can be made. The chicken-egg conundrum is explained by Dr. JoAnn Manson, Professor of Medicine at Harvard Medical School: “We’re at a crossroads because we really don’t know if there’s a cause and effect relationship between Vitamin D status and outcomes such as heart disease and cancer.” Obesity and lack of exercise contribute to higher rates of cancer and heart disease, so those factors could explain the illnesses, rather than a low Vitamin D level, she said. In fact, despite the mountains of research, the U.S. Preventive Services Task Force (USPSTF) stated late in 2014 there is insufficient evidence to justify taking mega-doses of Vitamin D to prevent chronic diseases, and did not recommend regular testing of blood levels. All eyes are now on the national, 26,000-participant VITAL trial, which will conclusively report in 2017 the effects of Vitamin D or fish oil on reducing the risk of cancer, heart disease and stroke. Different medical experts suggest different guidelines for Vitamin D supplementation. The Institute of Medicine’s guidelines state 600 IU (International Units) for ages 14 to 70, and 800 IU for age 71 and above; the Endocrine Society recommends 1,500-2,000 IU per day, and the Vitamin D Council advises “safe, sensible sun exposure, and if that’s not possible, 5,000 IU a day.” Please call my office for recommendations on the right amount of Vitamin D for you. 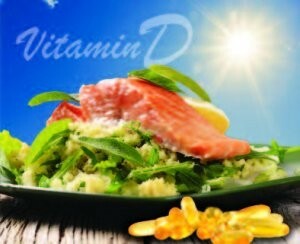 The post How Much Vitamin D Do We Really Need? appeared first on Specialdocs Consultants. Got Milk? Or Calcium Supplements? Or Neither? 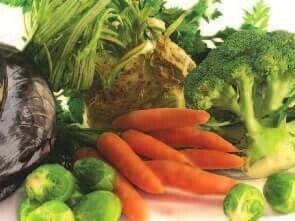 Find Your Roots with Winter’s Best Veggies Osteoporosis – Can you avoid the break? Wine and Spirits – Are There Any Benefits? © Copyright 2019 | Specialdocs Consultants, LLC | All Rights Reserved.